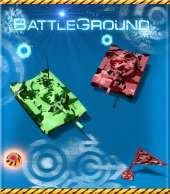 Enjoy a brand new tank fighting game with 3D graphics and lots of upgrades. You will be able to practice your shooting skills on various levels. Besides the addictive tank fighting action, the game also offers lots of upgrades that will make your tank powerful and even provide it with some abilities. Tons of enemies will keep you busy for hours and when several gameplay modes are added, the success is certain! Game features: 1) 36 Different Levels 2) Various Enemies (tanks, planes, turrets, traps) 3) Different Tasks 4) Game Modes (to survive, for two players, capture flags) 5) Different Upgrades 6) Different weather (snow, fog, rain). The keyboard is controlled and the keyboard layout can be called up with the F1 key. It is played in various arenas, against other tanks and other flying objects. Graphically, the game is excellent and as soon as you have the difficulty control under control, it makes it all the more fun. It's a very interesting action game with excellent graphics and lots of power-ups. For action lovers, this game is required to be tried.